Acer One 14 Z476 UN.431SI.042 - Core i3 6th Gen - 4 GB RAM/ 1TB HDD/ 14-inch Screen/Linux /3 year Acer Warranty. 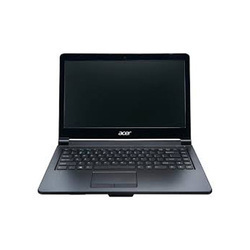 We are increasingly instrumental in presenting a broad consignment of Acer Laptop. Widely used by customers and officers, these offered products are available with us in numerous technical provisions. Additionally, the complete consignment is well tested prior getting dispatched at the premises of our customers. Our firm is a foremost name, involved in providing a diverse range of Acer Laptop. Experts use the advanced techniques to develop this product as per client’s demand. Supported ourselves with proficient amenities, we are readily instrumental in providing an inclusive variety of Acer Laptop. With a large, 15 screen, the Acer Spin 3 lets you enjoy your content for up to 10 hours2 at a time. With four modes to choose from – laptop, tablet, display or tent, finding the right fit for your needs has never been easier.